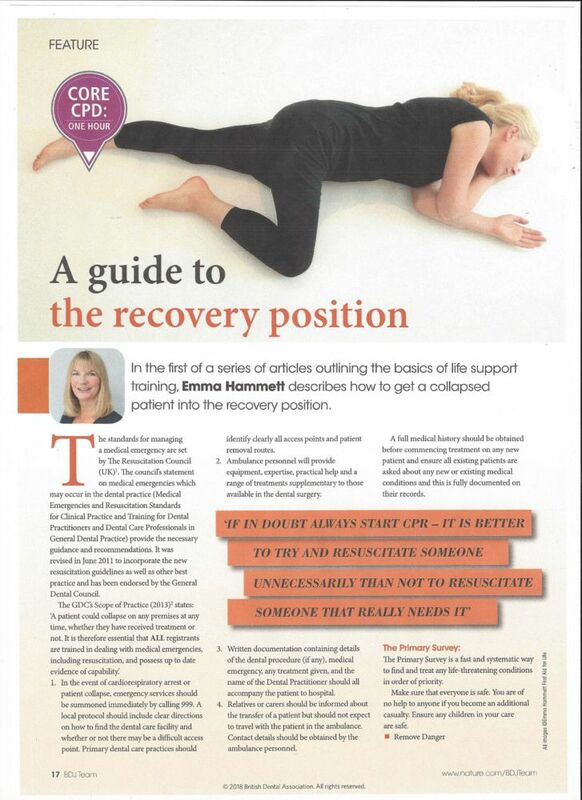 In the first of a series of articles outlining the basics of life support training, Emma Hammett describes how to get a collapsed patient into the recovery position. The standards for managing a medical emergency are set by The Resuscitation Council (UK)1. The council’s statement on medical emergencies which may occur in the dental practice (Medical Emergencies and Resuscitation Standards for Clinical Practice and Training for Dental Practitioners and Dental Care Professionals in General Dental Practice) provide the necessary guidance and recommendations. It was revised in June 2011 to incorporate the new resuscitation guidelines as well as other best practice and has been endorsed by the General Dental Council. In the event of cardiorespiratory arrest or patient collapse, emergency services should be summoned immediately by calling 999. A local protocol should include clear directions on how to find the dental care facility and whether or not there may be a difficult access point. Primary dental care practices should identify clearly all access points and patient removal routes. Ambulance personnel will provide equipment, expertise, practical help and a range of treatments supplementary to those available in the dental surgery. Written documentation containing details of the dental procedure (if any), medical emergency, any treatment given, and the name of the Dental Practitioner should all accompany the patient to hospital. Relatives or carers should be informed about the transfer of a patient but should not expect to travel with the patient in the ambulance. Contact details should be obtained by the ambulance personnel. A full medical history should be obtained before commencing treatment on any new patient and ensure all existing patients are asked about any new or existing medical conditions and this is fully documented on their records. The Primary Survey is a fast and systematic way to find and treat any life-threatening conditions in order of priority. Make sure that everyone is safe. You are of no help to anyone if you become an additional casualty. Ensure any children in your care are safe. If there is no response, give them a painful stimulus – a sharp pinch on their ear or nail bed or firm pinch of their trapezoid muscle. If there is no response SHOUT for help. Do not leave the casualty at this stage. When someone is unconscious or unresponsive most of the muscles relax and go floppy. The tongue is a huge muscle attached to the bottom jaw; if the casualty is unconscious and lying on their back, the back of their tongue will flop back and block the airway. Another potentially fatal risk when a patient is unresponsive and lying on their back is aspiration, the inhalation of either saliva or vomit. This is because the sphincter at the top of the stomach relaxes and remains open and so the casualty can easily aspirate. In a Dental Practice there should be suction available. If you are qualified, be ready to use it. If someone is unconscious and you are aware of the presence of vomit – either because; you can see it, they are gurgling or you can smell vomit – immediately roll them onto their side, or use suction if easily accessible, as whilst there is vomit at the back of their throat, they are unable to take a breath. The sphincter at the top of the stomach relaxes and remains open and so the casualty can easily aspirate. Do not over-extend a baby’s head as you can bend their trachea and block their airway. For a baby, just tilt their head to horizontal. Tilt their head and lift their chin to open the airway and then place the side of your face above their mouth and nose and look down the body to check for breathing. Just after their heart ‘stops’, a casualty may appear to be breathing when they are not. These breaths are called “agonal gasps” and are a reflex action from the lungs and are not effective breathing. If there are less than 2 breaths in a 10 second period, the person is not breathing sufficiently, and you will need to start CPR. If in doubt always start CPR – it is better to try and resuscitate someone unnecessarily than not to resuscitate someone that really needs it. It is possible to resuscitate someone in a fully reclined dental chair. Check their breath on your cheek for up to 10 seconds and you should feel at least 2 breaths. If they are unresponsive and breathing normally, place them in the recovery position or manage their airway using airway adjuncts and suction if trained to do so. Figure 1 shows you how to put someone into the recovery position if you are on your own. If you are not worried about a spinal injury, or if they are very heavy, you can just use the knee as a lever to propel them over into a draining position – there is no need to support their head and neck. If you are worried about the possibility of a spinal injury and you have other people to help, it is best to ‘log roll’ them to keep the spine in line. If you are competent using airway adjuncts and suction to maintain a clear airway, then keep them on their back to do this. Figure 2 shows you how to put a baby into the recovery position. First complete the primary survey, prioritising and treating any life-threatening injuries. If someone is unconscious always phone an ambulance to escalate care, before commencing a secondary survey. If someone is unconscious, the secondary survey should be carried out with them in the recovery position (or using airway adjuncts and suction) and they should be moved as little as possible. If there is any obvious core body or head injury – they should be placed on their injured side. Once the patient is in the recovery position or you are satisfied that their airway is maintained, check for any other injuries in particular; look for watery blood coming from either ear and feel their chest to see if both lungs are moving equally. Look for any other serious injuries such as bleeding or burns, or any other reason as to why they may be unconscious. Keep checking that they are still breathing. When the paramedics or ambulance crew arrive, they will register that your team has taken all the appropriate steps and given the patient the best chance of a return to health. It is strongly advised that all dental teams attend a fully regulated practical or Online First Aid course to understand what to do in a medical emergency. Please visit https://firstaidforlife.org.uk or call 0208 675 4036 for more information about our courses. Next month, Emma will cover Cardiopulmonary Resuscitation CPR training and practice. Emma Hammett is a qualified nurse and award-winning first aid trainer with over 30 years’ healthcare and teaching experience. 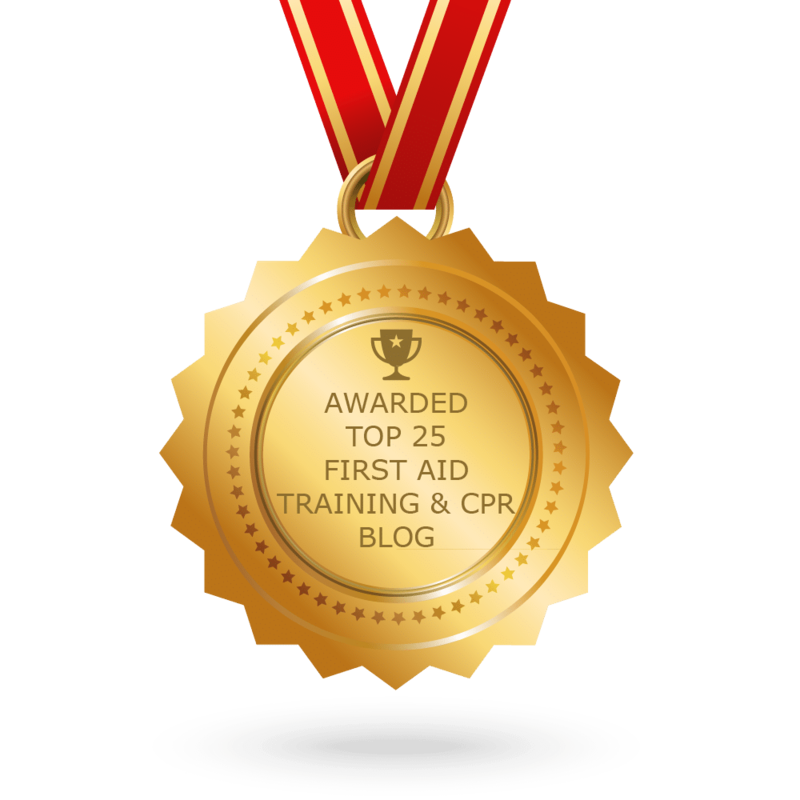 She is the Founder and CEO of First Aid for Life is a multi-award-winning, fully regulated first aid training provider specialising in first aid and medical emergency training for Dental Practices.